Alexandria chiropractors, Dr. Shara Posner and Dr. Shawnté Hudgins are committed to making you feel like a member of our family when you’re at Back to Health Center. We’re here to help you and your family integrate the idea of a healthy lifestyle into your daily living, free from discomfort, and enhance your overall well-being. When you feel incredible, you can participate in the things you love. All ages and levels of health can see extraordinary benefits from chiropractic care. At Back to Health Center, our skilled, experienced health care team is ready to take outstanding care of you and your family. Our whole person approach seeks to identify the underlying cause of your issue rather than focus on your symptoms. 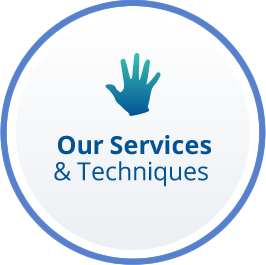 Once we determine the source, we’ll create a personalized plan just for you that may involve a combination of our many services. 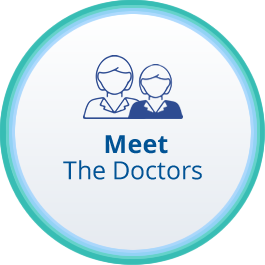 With diverse treatment options, you can feel confident that you’ll get better and stay well. The entire team at Back to Health Center works together to ensure you receive excellent health care and have a fantastic experience. Our community members have given us the wonderful compliment of voting for us as a top chiropractor in Northern Virginia and Chiropractor Alexandria time and time again. 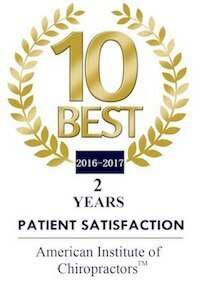 And we have just received the American Institute of ChiropractorsTM 10 Best Award for patient satisfaction, for the second year in a row. 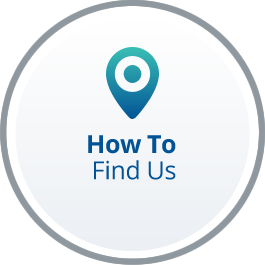 We welcome the opportunity to help you – give us a call to get started! Convenient appointments are available, and we accept health insurance coverage. Contact our friendly and helpful team today to find out more or schedule your time! Very professional, and more than helpful! You helped me out of a jam! Nothing but positive things to say! Seriously, THANK YOU SO MUCH. You healed me. My hip and back feel almost perfect. Every now and then there is a little pain but I think that is from a lack of stretching and the scar tissue, but I am getting better each day. I went on a run the other day and didn’t feel tight or hurting for the first time! Thank you for helping me because when I came to you I had lost hope I would get back to normal and feared I’d forever be in pain and out of alignment in my legs. You really are the best! The office atmosphere was friendly, very helpful and calm. The same friendly and calm atmosphere flowed into the examination room. Thank you for a very good experience. Glad I went to Back to Health!! Went in with incredible neck pain and I left feeling a good bit better. By the end of the day I felt almost 100%. After my second visit my knee has already improved. I feel very encouraged and excited that I will be able to resume running and all the other activities that I love. Thanks to Joy for arriving early to work me into the schedule. I appreciate the great personnel and the attention to results. Excellent! Very grateful to Dr P…my leg feels much better! So happy I found your practice! Dr. Posner is very empathetic, and so easy to talk with! I had the best experience! The doctor did a thorough examination, and after my first visit, was already feeling better. Very professional staff…and their new office is beautiful. I will definitely continue my care here. Looking forward to my next appointment!! Dr. Hudgins was professional, took her time explaining my adjustment, and very personable! Thank you for all that you have done for me since January. I was scared I was heading for a third surgery when I came to see you. But all thanks to you I have avoided it and became “me” again. 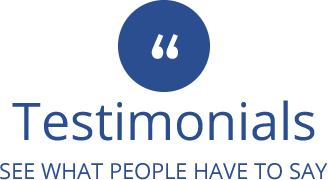 You have such passion and a strong enthusiastic approach for your patients. I believe this is the main reason that you are #1 in Alexandria. Loved Dr. Posner!!! She evaluated me and sought to understand my issues. Very attentive and provided immediate back relief on my first day of eval. Shaunte was amazing! I was in excruciating pain and she walked me to and from my car and ensured I was ok. She didn’t push the treatment; she went according to my pain level and was gentle in what she did. Wish that I had come sooner. Already have 2nd appointment set and I do feel better today! Back to Health Center has been a life saver! I could barely walk when I went in for my first appointment, but after 3 adjustments and guidance on ways to stand, sit, lie, etc., I’m moving around much better! Very happy I tried Back to Health Center!